We have Gift Packaging Suitable for Jams Preserves Chutney or Sauce. 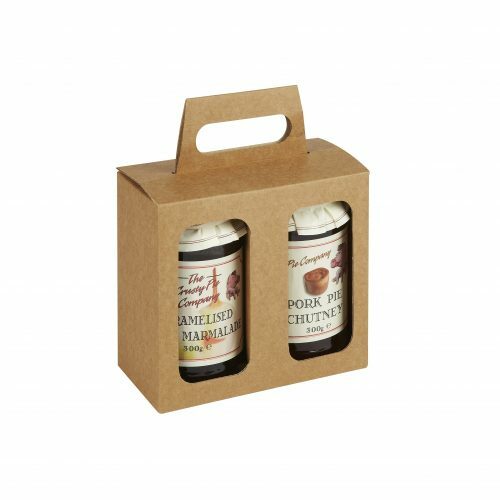 Our Two Jam Jar Gift Pack holds 2 x 300g Jars. A 3 x 300g Jar Gift Pack and a 6 x 300g Jar Gift Pack are also available.